Network diagram, network, cisco drawing, network drawing, network design, network architecture, LDAP, Active Directory, wan drawing, lan drawitemplates. Easy to draw detailed physical, logical, Cisco and network architecture diagrams. 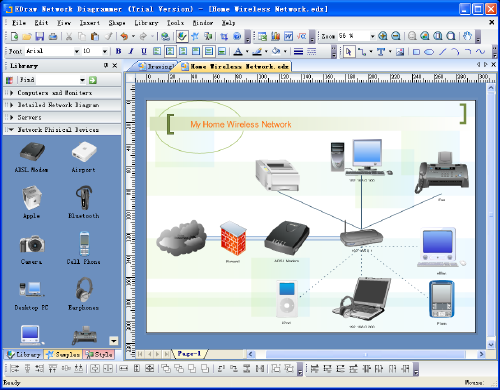 Edraw Network Diagrammer is a professional network diagramming software with rich examples and templates. Easy to draw detailed physical, logical, Cisco and network architecture diagrams, using a comprehensive set of network and computer equipment shapes.